Is there a better alternative to Excentro Lite? Is Excentro Lite really the best app in Illustration category? Will Excentro Lite work good on macOS 10.13.4? 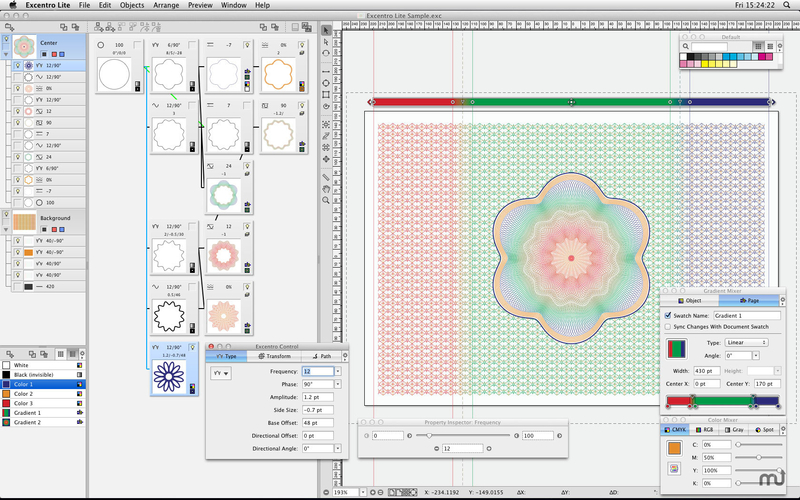 Excentro Lite is a simple but powerful tool that can create guilloche designs like backgrounds, borders, or rosettes. Excentro Lite is a simplified version with the features set close to the original Excentro from the mid-'90s. It does not have the Tiles, Frames, Reliefs, or Pen tools of the full Excentro version, but it has a very affordable price point, and is made for the users who need to create designs for occasional jobs or just to do some guilloche experiments.